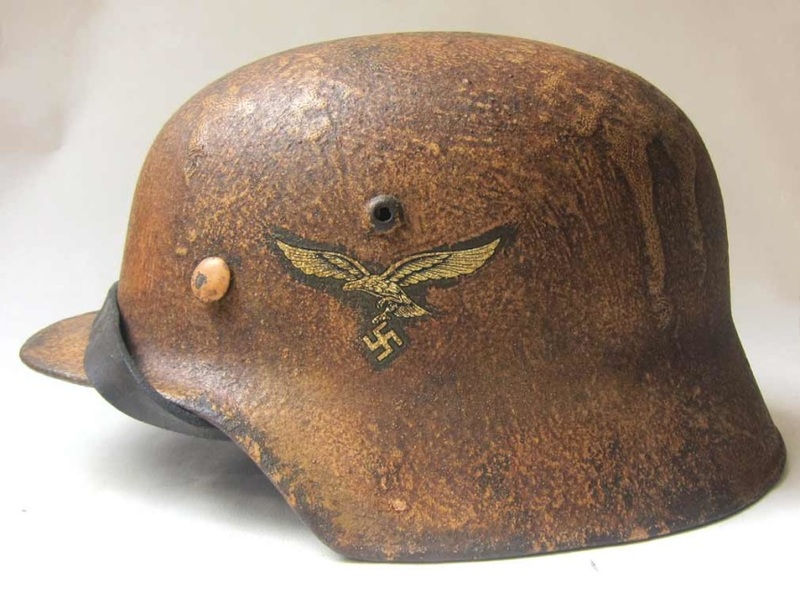 This DAK (Deutsches Afrika Korp) helmet is reproduction, there are no genuine parts. The helmet shell is a Model 1935 ET maker with faint size marker & batch number. The liner is suitable aged as is the chinstrap and the 'Eagle' & National Colours decals are our museum quality reproductions. The shell show medium wear but many areas are starting to rust and are worn through the paintwork especially on the inside.